Back to school means back to boat shows! There are a bunch of boat shows this weekend, and we're just getting started. In its 28th year, the Atlantic City show started Thursday and runs through Sunday. This is one of the bigger shows in the Northeast with boats in the water and is worth checking out if you're in the area. A little further north? 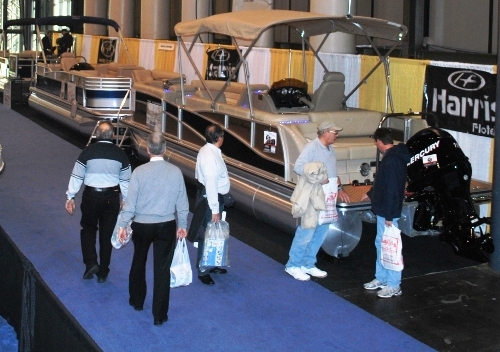 Check out the Montreal In-Water Boat Show, or as they call it in French, Salon du bateau à flot. The third annual edition of this show is being held from the 7th to 9th of September at the Old Port of Montreal. Here's what we LIKE about this show: Life jackets are MANDATORY for all children between 0 and 12 years. The QMA will distribute jackets to children during their visit to the docks, but they suggest that parents bring their own life jackets for their children. 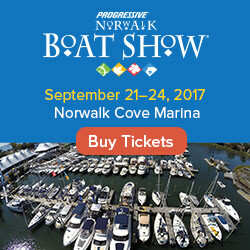 While we're talking about shows outside the US, we should mention the National Boat Show and Dive Expo at the Coca-Cola Dome in Johannesburg, South Africa, from the 7th to the 9th. Back here at home, the Orlando Boat Show calls itself "Central Florida's Premier Boat Show" and has about a dozen boat dealers on display. It's not huge, but your ticket also gets you into the Orlando Home & Garden Show, which is in the same complex this weekend. Meanwhile, across the country, the 36th Annual Wooden Boat Festival in Port Townsend, Washington, considers itself "the most education-packed and inspiring wooden boat event in the world" with more than 300 wooden boats on display. Check it out if you are in the Pacific Northwest. Back east, Syracuse is home to the Clear'em Out Fall Boat Show and Sale, which claims to be the "oldest and largest Fall boat show in the state of New York". 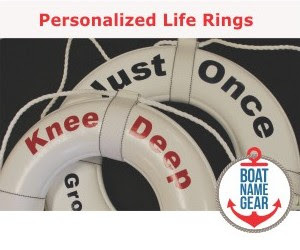 The name of the show suggests that this will be a good place to get a deal on a boat that a dealer might want to get off his lot to make room for next year's models. The event is today through Sunday is in the Center of Progress building at the NYS Fairgrounds.